"Breaking the Enigma code was the easiest part of the Nazi puzzle"
The astonishing achievements of the codebreakers of Bletchley Park are set to fascinate and amaze yet another generation. Benedict Cumberbatch’s portrayal of Alan Turing in The Imitation Game will undoubtedly spark new pilgrimages to the wooden huts in Buckinghamshire in which a British mathematician and his team broke the Nazis’ coded messages. The film – whose title comes from a question posed by Turing as to whether a computer could ever truly act like a human being – concentrates on his creation of the Bombe, an electro-mechanical device built to assist in the breaking of the German Enigma ciphers. 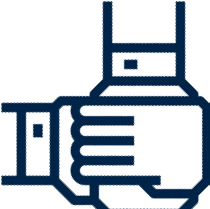 The story of how Turing and his colleagues in Hut 8 broke the U-Boat codes – which allowed the Admiralty to protect the Atlantic convoys bringing vital supplies from America – is told brilliantly in The Imitation Game. While purists will argue that it wasn’t quite as easy as all that, this is a film, not a documentary. It conveys the brilliance of Turing, the spirit of Bletchley and the backdrop of the Second World War perfectly. And it doesn’t claim the Americans did it all. But, inevitably, to tell this story, it has been simplified. Cumberbatch’s co-star, Keira Knightley, appears as a solitary female codebreaker in an otherwise all-male cast. At its peak, there were 12,000 people at Bletchley, of whom 8,000 were women. Nor, of course, was the Battle of the Atlantic the only area in which Bletchley played a key part. The breaking of the Enigma ciphers saved countless lives during the Blitz by predicting which cities the German bombers would attack, allowing the RAF to lie in wait for them and the authorities to ensure people were in shelters in good time. The codebreakers helped victory in North Africa, giving British commander General Montgomery details of Erwin Rommel’s battle plans and providing the routes of the Nazi supply convoys, allowing the Royal Navy to sink them. Intelligence gathered from Bletchley’s analysis of radio communications and from the breaking of lower-level codes, often by women, played an important part in numerous naval battles, not least the sinking of the battleship Bismarck, and in providing the RAF with vital intelligence during the Battle of Britain. 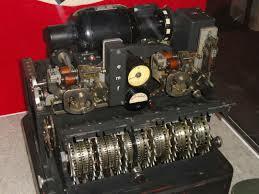 But there was one Bletchley achievement that, in many ways, outshines even the breaking of Enigma. The Germans had an even more complex machine cipher, the Lorenz SZ40, which was used to encipher the teleprinter links between the frontline generals and Hitler. Enigma had three, or sometimes four, internal rotors to encipher the messages. The Lorenz SZ40 device had 12, paired in two separate rows. The movement of the second row was highly complex, making the cipher extremely difficult to break. But, in an extraordinary piece of analysis, John Tiltman, possibly the greatest British codebreaker ever, and Bill Tutte, a recently recruited chemistry and maths graduate, managed to work out the internal mechanisms. Bletchley Park could now break into Hitler’s most secret communications. It was as if they were inside the Führer’s bunker, listening to everything he said, eavesdropping on all his plans. The codebreakers named the Lorenz cipher system Tunny, and all of the teleprinter links were given the name of fish. The most important ones were those between Hitler and the commander in France, Field Marshal Gerd von Rundstedt, which Bletchley codenamed Jellyfish, and to Field Marshal Albert Kesselring, the commander in Italy, which they called Bream. Max Newman, who had been Turing’s tutor at Cambridge, was put in charge of one of two sections breaking the Tunny ciphers. Newman’s section worked out how the first row of rotors were set and how they rotated. The second section, led by Ralph Tester and called the Testery, used the stream of letters produced by the Newmanry to work out the action of the second set of rotors and decipher the actual messages. Newman realised that the work in his section could be done much faster by the sort of “computing machinery” which his former student had dreamed of building, but it was still just an idea in Turing’s mind. So Newman and his colleagues Donald Michie and Jack Good (played by James Northcote) worked out the concept for the machine and put their ideas to a young Post Office engineer, Tommy Flowers. Turing gave them some advice but had no major role. Flowers made pioneering use of valves to produce Colossus, the world’s first electronic digital computer, an astonishing achievement that, because of the secrecy of the codebreakers, went unrecognised for decades. Unlike most feature films based on fact, The Imitation Game doesn’t exaggerate the importance of its story; it does as much as it can to give an inkling of how brilliant Turing and his fellow codebreakers were, and the importance of everything that Bletchley Park achieved. Michael Smith’s book on the female codebreakers, 'The Debs of Bletchley Park and Other Stories’, will be published by Aurum in January. 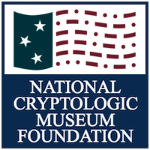 Click the link below to go to the Cryptologic Bytes Archives page.